A stunning late strike from Ryan Leonard secured Southend a 1-0 win against Bury at Roots Hall. 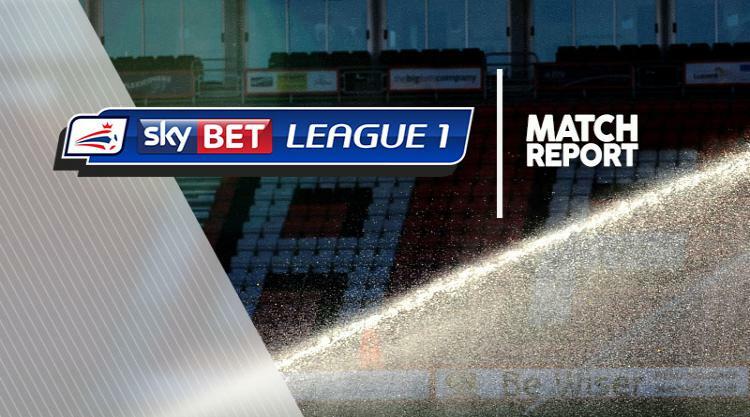 A largely uneventful Sky Bet League One game seemed to be heading for a goalless draw. But Leonard fired home from 25 yards six minutes from time to end the Shrimpers' three-match winless streak. Bury - who have still yet to win away from home in the league this season - had earlier threatened with Chris Maguire having an early 25-yard free-kick tipped over the crossbar by Southend goalkeeper Mark Oxley. Moments later, Maguire's lofted effort - when clean through on goal - was kept out by Oxley before Shakers striker Michael Smith headed wide of the right post when well placed inside the penalty area. Southend threatened at the start of the second half with Simon Cox heading Michael Kightly's left-wing corner wide of the right post before Bury came even closer to taking the lead when Bunn's powerful effort was tipped onto the crossbar by Oxley. However, Southend were able to hit back to triumph with Leonard netting from long range.